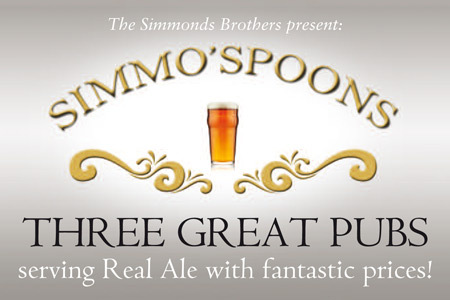 Simmonds brothers’ pub chain Simmo-spoons scares real ale rival! 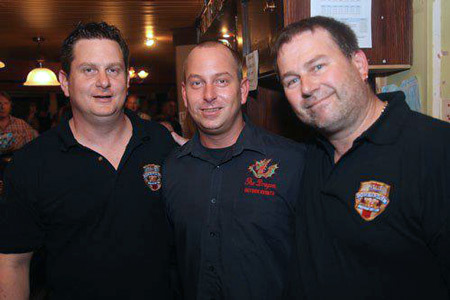 Three brothers, two great pubs, and Simmo-spoons — The Firm! The Ploughman, left – our flagship pub. PETERBOROUGH CAMRA PUB OF THE YEAR 2014 (& 2011). This is where it all started. Andy commands control here. 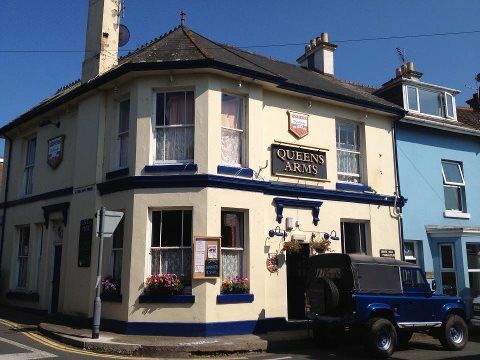 The Queens Arms, Brixham, Devon, below. SOUTH DEVON CAMRA 2014 PUB OF THE YEAR. This is where you will find me, Chris. Here are our two CAMRA accredited pubs. 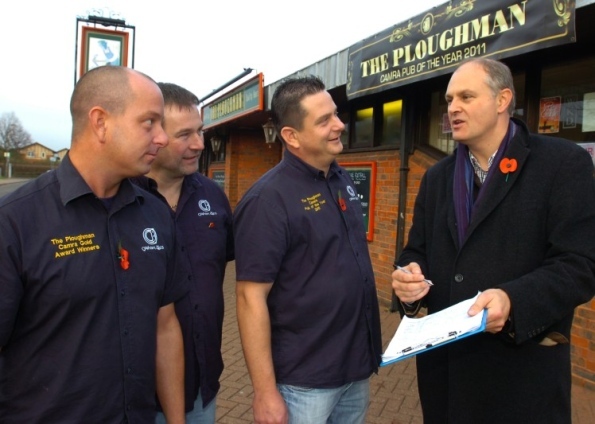 The Ploughman was Peterborough CAMRA pub of the year 2011 and 2014. We specialise in traditional ales at affordable prices. We also support local charity good causes. So pop in and have a pint of ale !! Below we are discussing saving the Ploughman from Tesco with our local MP Stuart Jackson. Between us we present a formidable challenge to rival ‘Spoons’ establishments, not only in the quality and diversity of our real ales but also in our non-faux pub surroundings. We guarantee a good pint in a classic setting – often with a bit of history or local legend thrown in.